People from all over the world know about Las Vegas. It’s like kids and Disneyworld, everyone knows what it is and everyone wants to go there. And when someone mentions Las Vegas, the one thing that always comes to mind is gambling and hitting the big jackpot. But there is so much more to Las Vegas than many of us know and it does have some interesting history behind it. While it would take days to write about the full history of Las Vegas, we are going to focus on some of the highlights here instead. The name Las Vegas was given to the area by Rafael Rivera, a member of the Antonio Armijo trading party, in 1821. The party was traveling to Los Angeles and stopped for water in the area which was on the Old Spanish Trail from New Mexico. Las Vegas means “the meadows” in Spanish and was a fitting name at the time since several parts of the valley contained artesian wells surrounded by lush greenery. Still, the land was barren and too rough for most settlers so the area remained unpopulated for the most part until the late 1800’s when the military claimed the territory. Then, in the early 1900’s, water from the Colorado River turned the area into a water stop for wagon trains and railroads traveling between Los Angeles, California, and points east such as Albuquerque, New Mexico. This increased the size of Las Vegas but not the population just yet. People did settle in the area, but it was still desolate compared to many Western towns. Las Vegas got its earliest gambling roots as one of the last states to outlaw gambling in the West. This was a result of a strict anti-gambling law in 1910. Still, Las Vegas had a diversified economy and it began to grow. It wasn’t until the building of the Hoover Dam in the 1940’s that Las Vegas saw a population explosion. Realizing that gambling would be profitable for the city, the Nevada state legislature legalized gambling at the local level in 1931 and the very first Las Vegas casinos were built. This was the start of Las Vegas as a gambling town. The post-war years were the best for Las Vegas as by 1954, over 8 million people were visiting Las Vegas yearly pumping $200 million into casinos. More casinos were built, America’s millionaires began taking an interest in the desert town and decided to modernise it. Neon lights were everywhere, a new city infrastructure was built and all new casinos featured state of the art gaming that attracted gamblers from all over the world. With explosive growth every decade until the early 2010’s, Las Vegas became the hotspot for tourists, gamblers and families alike. It seemed like nothing could stop the entertainment capital of the world. Then the internet arrived and with it came online casinos. Las Vegas seemed doomed as more gamblers chose to save the money they would spend on flights to Vegas and hotel accommodations while there, and put it in their online casino accounts. This was a new era in gambling and Las Vegas had to make some changes to stay competitive. Today, Las Vegas is alive and well and has become a big part of the online gaming world. 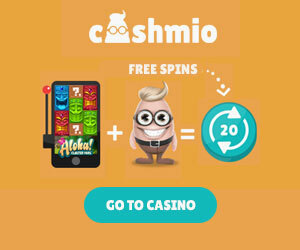 Whether you choose to visit Las Vegas in person, or play online, you will still get the same rush when you win big!